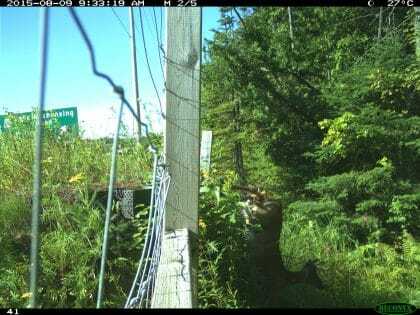 From July 2014 to June 2016, the Eco-Kare team monitored mitigation measures installed for large animals along three fenced sections of Highway 11 between the towns of Callander and Sundridge. The primary target species was White-tailed deer. Moose and Black bear are also in the area. 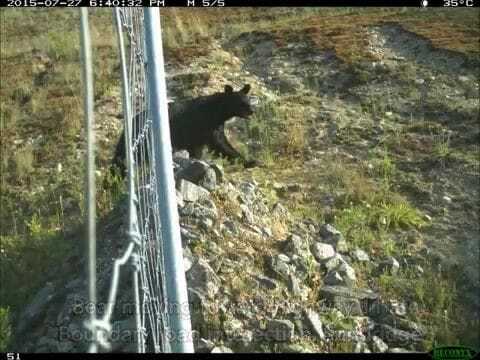 There was large animal fencing installed at Callander (3.5 km); Wasi (2.2 km) and Sundridge (9.0 km). 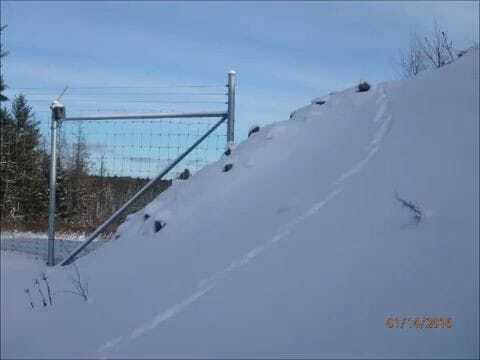 The Callander section had Jump Outs and One-way Gates, the Wasi section had one large animal underpass, and Sundridge had 22 paired Jump Outs and One-way Gates and one box culvert. Preliminary analyses have shown slight reductions in wildlife-vehicle collisions but more data after fencing was installed is needed. The two underpasses were monitored for large animal use. These included two 4 m wide x 4 m high wildlife underpasses. 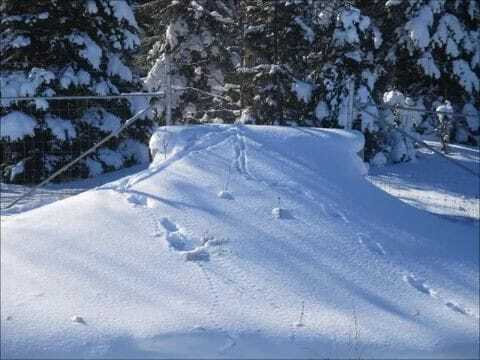 One structure had an open median, and the other was closed median and used jointly by snowmobiles. 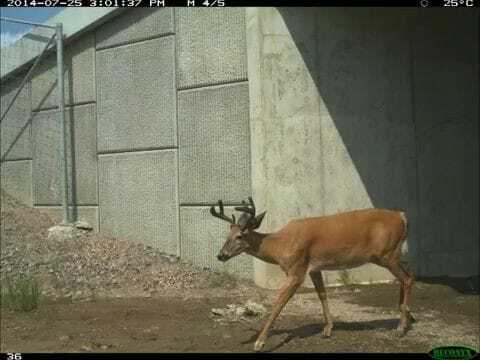 White-tailed deer preferred to use the underpass with open median and passage rates (Crossings/Crossings + Repels) were about 60%. 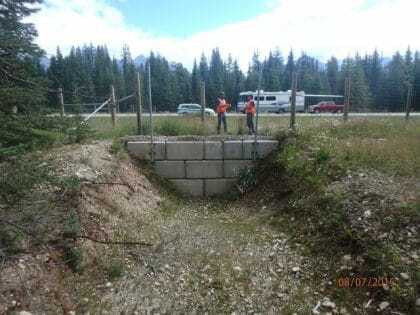 There were two Jump Out designs on Highway 11: one type at Callander and another type at Sundridge. Jump Outs performed better at Callander likely because of deer abundance, habitat quality and also differences in design. The Sundridge design did not have an earthen ramp that spanned entirely around the structure on the road-side of the fence. Other types of designs have been used elsewhere in Banff National Park. More research is needed to understand what design types work best for each species, even the same structure may work better for Mule deer than for White-tailed deer. Jump Out in Kootenay National Park, B.C. Short sections of large animal fencing (≤5 km) is either under partial or full influence of fence-end effects (Huijser et al. 2016). Fence-end effects are when animals are funneled to these locations and enter onto the road or move along the fenced right-of-way. Fence-ends are often ‘treated’ to deter animals from moving onto the road.